National MI welcomes PMIERS and will be able to immediately comply with the new financial requirements. 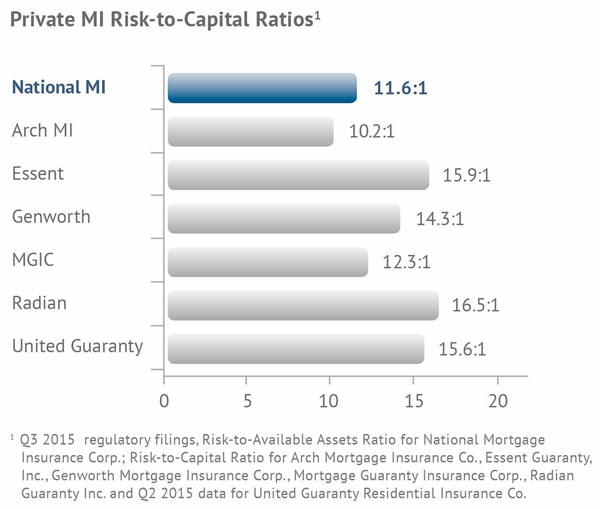 National MI’s risk-to-capital ratio is well below the state regulatory limit and one of the lowest in the industry. In November 2015, National MI raised an additional $150 million of capital, which provides the capacity to write approximately $20 Billion of new insurance. National MI does not need to apply unnecessary rescission behaviors to preserve capital.